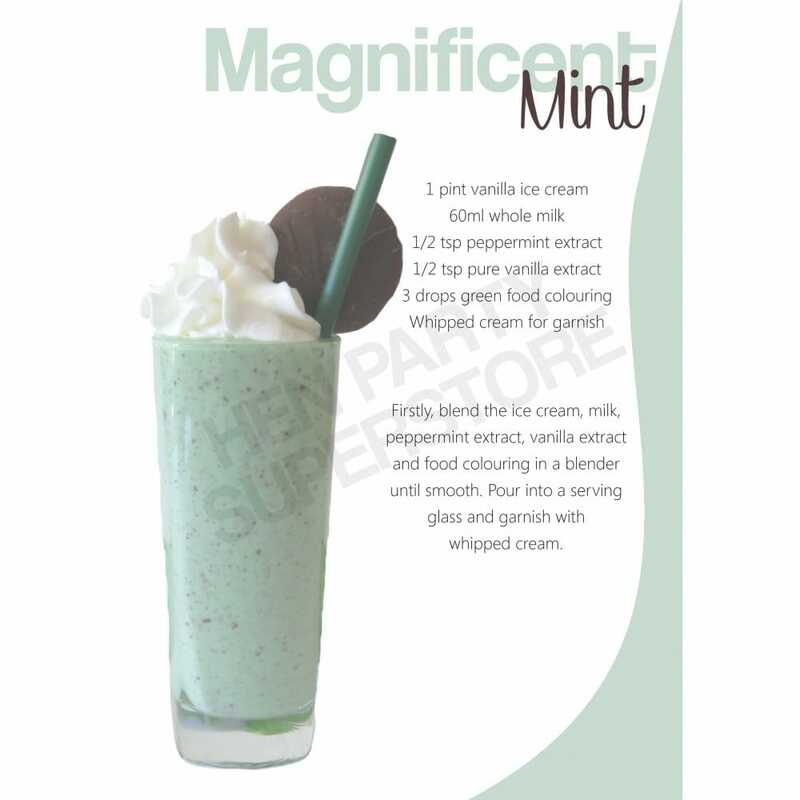 It is our great pleasure to bring to you the Magnificent Mint milkshake, with its vanilla and mint complementary flavours. Savour the sweet taste of the mint and vanilla as this silky beverage ripples from your mouth to your belly, leaving a cool minty aftertaste. With just a few simple ingredients, you too could be enjoying this liquid pleasure in the comfort of your own home. Serve with a selection of other milkshakes from our range for the sweetest Hen Party on record.